Don’t forget to wish your mother a happy Mother’s Day on the 14th of this month. 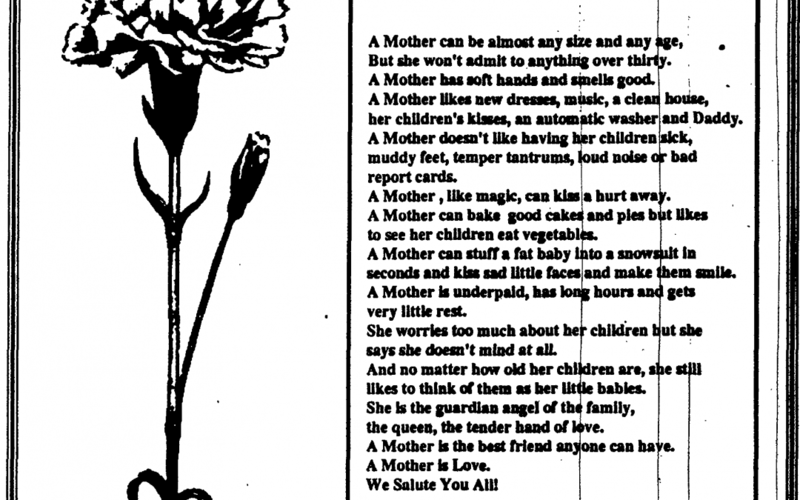 Check out the lovely Mother’s Day poem featured in the Indian Time on May 6th, 1994. You can read the full page, including the fun messages left by children for their mothers by visiting NYS Historic Newspapers here.